Contact Pretty Good Notebooks - Stunning A5 and A6 hand made notebooks made in Great Britain. Buy A5 and A6 paper notebooks online. A handy paper notebook is just as important today as it ever was. Despite mobile phones and modern tech, there's nothing quite like scribbling down ideas with pencil on paper. Whatever the use of your notebook : important dates, shopping lists, things to do lists, creative writing, journaling, work or study notes we have designs to suit all personalities. We hand make A5 and A6 notebooks that STAND OUT with superb photographs or interesting, fun designs on the cover. Noteworthy notebooks from Pretty Good Designs. Buy A5 and A6 paper notebooks online. Jotbooks from Pretty Good Designs - Paper Notebooks - Interesting and unique designs on the cover of A% and A6 notebooks. 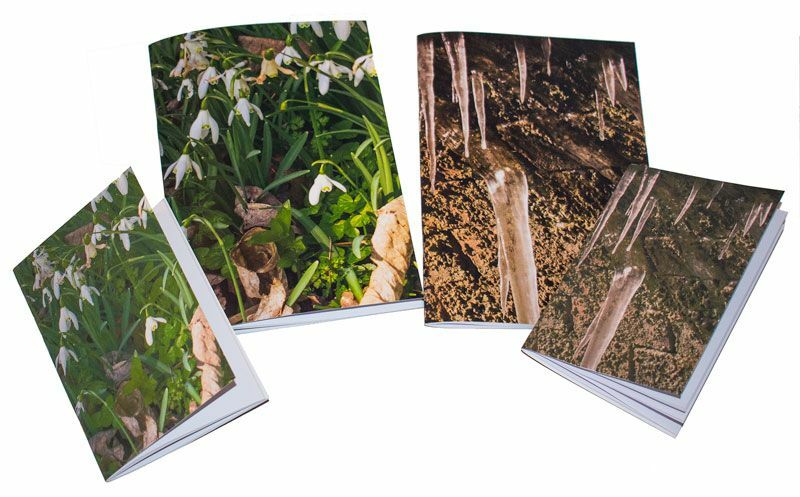 Photographs of the Cotswolds taken through the the year displayed in an interesting and artistic way on the cover of handy A5 and A6 notebooks.